Onrush is a racing game without traditional racing. You zip fast vehicles around tracks, but there’s no finish line, no reward for placing first. The title is a misnomer: Rushing is quite often the wrong approach. Leading the pack makes you a target to everyone behind you, while hanging back provides a vantage to strike from behind or above. In Onrush’s first hours, you aren’t just learning a new game; you’re actively working to forget the training of an entire genre. Though Onrush looks like a racing game, it plays more like a multiplayer shooter. Instead of chasing the fastest laps, you compete in a variety of modes that emphasize map management, offensive attacks and teamwork. Matches feature two teams given a shared objective: Score the most points by boosting through the course and taking down enemies; slalom through gates that add tiny bits of time, keeping your clock from running out before the other team’s clock; stay within a high-speed circle, like King of the Hill on an interstate. The rules are intuitive enough, especially if you’ve played deathmatch shooters like Call of Duty or Battlefield. But what’s strange, almost unnerving, is to play a game and have no well of strategies from which to pull, let alone the acquired genre knowledge that helps you to “read” a game from the first moment of the first match. In the initial hours, I was working through questions that would seem basic in most games: Where should I look? Where should I position myself? Are certain vehicles better for certain tracks or certain modes? This period was equally stressful and fulfilling, a series of setbacks and discoveries in rapid succession. As in hero shooters like Overwatch, every vehicle has its own persistent buffs, methods for earning energy and special powers that expend that acquired energy. Some vehicles specialize in support, dropping energy and delivering shields. Others emphasize attacks, increasing speed and bolstering damage. One bike, for example, radiates a powerful shockwave when landing from big jumps, and sports a special ability that saps boost from competitors. As an act of either mercy or charity, the single-player mode has been designed with exceptional generosity, to the point, early on, that you would have to actively work to impede your team from winning rounds. I recommend you do just that. Rather than hurry to be the MVP, you can learn from letting off the gas, and watching what the computer — on both teams — does to win. You’ll discover the ways cars use jumps as attacks, how they reserve special powers for when they’re in the middle of the herd, and so many other unusual but productive tricks and techniques. On one hand, Onrush reminds me of Rocket League, another game that transplanted the act of driving fast cars into an unexpected genre. Onrush’s state at launch echoes the early days of Rocket League, before players had discovered (or should I say, invented) gobs of advanced methods for teamwork. But Onrush is, at least at first, more opaque. It doesn’t have the immediate metaphor of soccer or the simple scoring system of goals. It feels like a game of this moment, one complex enough that its fate may hinge on the streaming and YouTube community, players creating tutorials and explainers, contributing to a central pool of knowledge about how to make the most of this weird, unfamiliar thing. 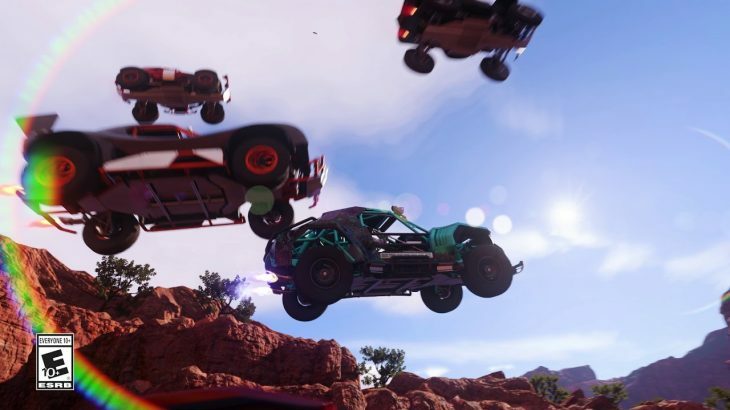 Onrush’s creators, many of whom formerly worked on the MotorStorm series at Evolution Studios, have added one other feature that eases the frustration that might otherwise perturb newcomers. Tracks are crowded with grunt cars, oily black vehicles that materialize a short distance in front of you. They wreck with the slightest tap, giving you boost. 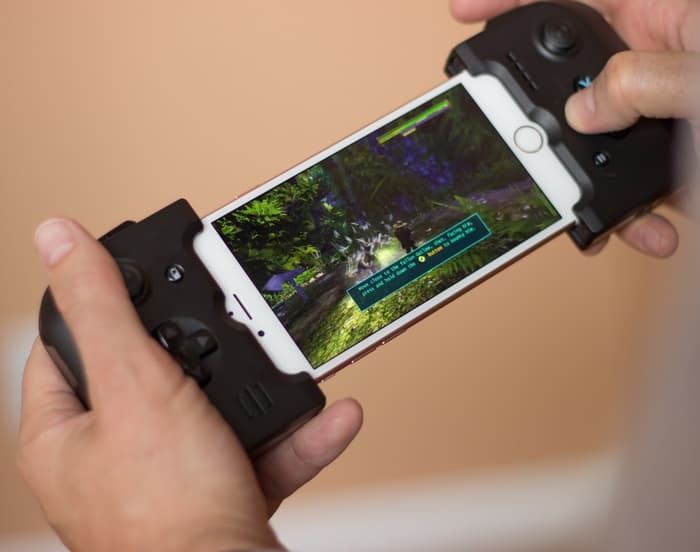 It’s an idea lifted from MOBAs and Titanfall, a satisfying layer of combat that offers players of any skill level something easy and pleasurable to do. As a result, Onrush — even in the confusing early hours — has a raucous, concussive energy, one that reminds me of the notorious MotorStorm debut trailer (above) that haunted that series through its six-year run. Shown at E3 2005, the footage was visually stunning. But what I still find most appealing is the seemingly impossible nature of its action, vehicles endlessly slamming into one another in a flurry of wheels and steel. Over a decade after that trailer’s debut, some of the people responsible for MotorStorm have delivered on that promise. Wrongly, I expected them to make a racing game that looked like that test footage. Instead, they’ve concocted a genre hybrid that reproduces something even more precious: the trailer’s feel. Onrush was reviewed using a final “retail” Xbox One download code provided by Deep Silver. You can find additional information about Polygon’s ethics policy here. You Can Now Purchase And Play Kirby’s Epic Yarn On Wii U.